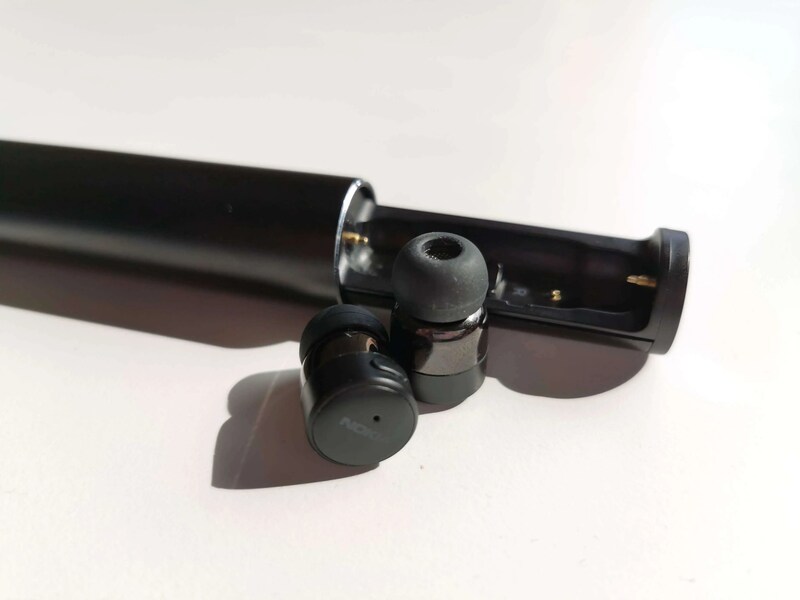 With the Nokia True Wireless Earbuds, HMD Global are offering a lightweight yet functional pair of wireless earbuds that offer a pretty impressive sound output also. On top of this, If you’re looking to pick up a new Nokia 7.1 on Three Ireland, you get a pair of these absolutely free! 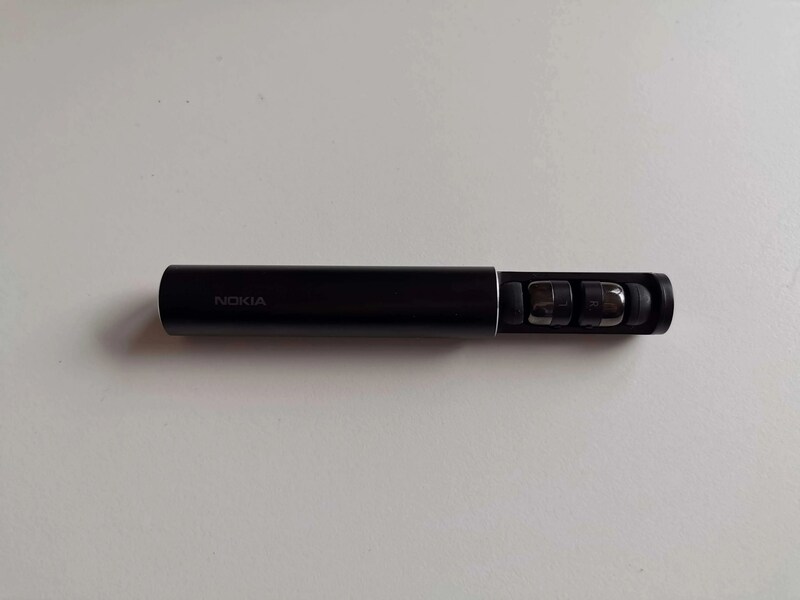 Read on below to learn more about what we thought of Nokia’s True Wireless Earbuds. The moment you open the box, you’ll see just how tiny these in-ear earbuds are with only a small little button that sticks out on the edge of each earbud offering somewhere to grip. Not only do these buttons serve a practical control function for the earbuds, but they also help position them in your ears better and help to let you know that you’ve placed them in right. When it comes to fit, as long as you’ve fitted the the right earpieces, these in-ears sit tightly in the ear. What’s more, their small size and lightweight nature tick an important box in the list of my personal requirements for a good set of in-ears: unobtrusiveness. The shape of them almost disappears in the ear and if you take care to align the controls of the in-ears upwards, you can operate media playback and call answering/declining very easily. When it comes to storing and charging the earbuds, their slender cylindrical charging case is very well designed. 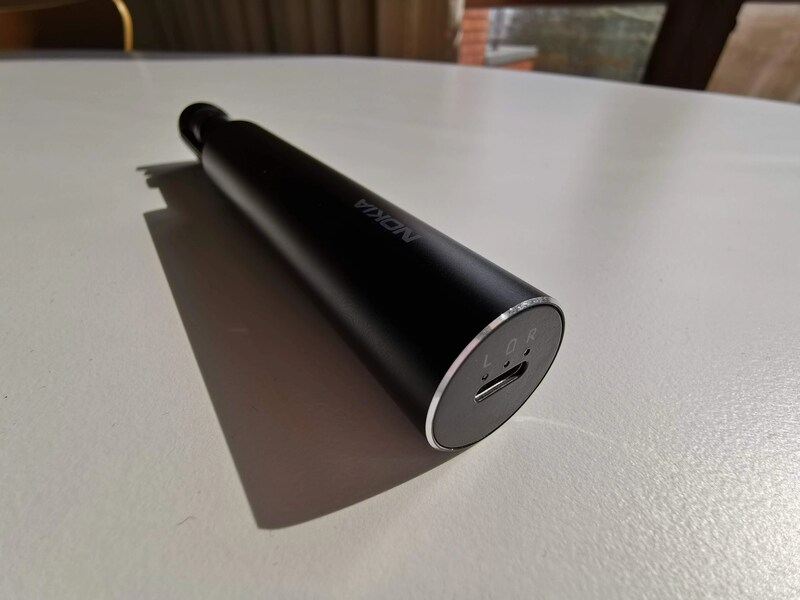 With a push of the button, the charging tray pops out of the side of the tube and you simple position each earbud into their designated slots and slide the tray back into the tube with a click. On the bottom of the device, there’s 3 LED indicators and the USB Type C charging port. The left and right LED show whether the left and right earbuds are being charged and the centre LED flashes to show how much charge is left in the case. 4 flashes for 100% to 75% battery, 3 for 75% to 50%, 2 for 50% to 25% and 1 for 25% to empty. As I mentioned, there’s only one button on each earpiece and still, start/stop, skip forwards/backwards and volume up/down all work intuitively and logically if you have spent a brief bit of time learning the different button press combinations. Pressing the button once, on either the left or right earbud will start or stop the music and will either answer or end a call whilst pressing twice on the left earbud will decrease the volume and twice on the right earbud will increase it. If you long press on the left earbud, you’ll skip back a track and long press on the right earbud will skip a track forward. An extra long press on the left or right earbud will switch the earbuds off and decouple them from your phone and you can launch your digital assistant, Google Assistant in this instance by single pressing and then holding the right earbud’s button. Thankfully, the Nokia True Wireless Earbud’s are also protected against perspiration and splashes in accordance with IPX4 standards. Pairing with your phone or laptop also takes very little time thanks to Bluetooth 5.0 and there is also voice confirmation telling you about what’s going on with the pairing options. Nokia’s True Wireless Earbuds offer deceivingly good audio quality given just how small they are. The bass is rich and weighted, yet not too mid-heavy, and they also deliver clear highs for vocals and more intimate tracks. Admittedly, large orchestral or film score pieces, when listened to above average volume, expose the earbud’s inability to play larger sound stages with many multiple instruments and audio levels. Telephone calls on the earbuds work considerably well but, when using the earbuds in very windy outdoor areas, the people on the other end of the line did have difficulty hearing me. This is probably down to the placement of the earbuds microphones being so physically far away from my mouth given their very small form factor so it’s just something to be aware off if you take a lot of calls whilst out and about or whilst jogging etc. Nokia claim that these earbuds can last for 3 and a half hours of music playback on a single charge and, given the tiny form factor and 5 grams weight of each earbud, we were slightly skeptical. Surprisingly, having used the earbuds for a while now, we can confirm these earbuds live up to this claim. Placing them into their charging case, you’ll be able to add 14 more hours of music playback which is very handy to get you through a good few days of average use without having to worry about charging them. 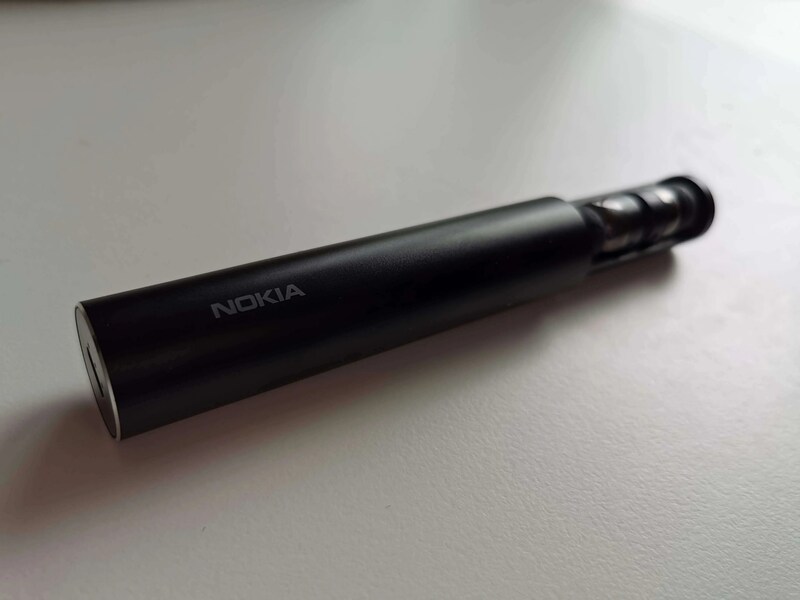 Overall, we were pleasantly surprised by how good these True Wireless Earbuds were from Nokia. Back when they were officially unveiled, we were fans of their tiny form factor and ergonomic carry case but we weren’t sure if they could deliver on the audio front. Having tested them for a few weeks now, we’re really impressed with how good these earbuds sound and the battery life isn’t too bad either! 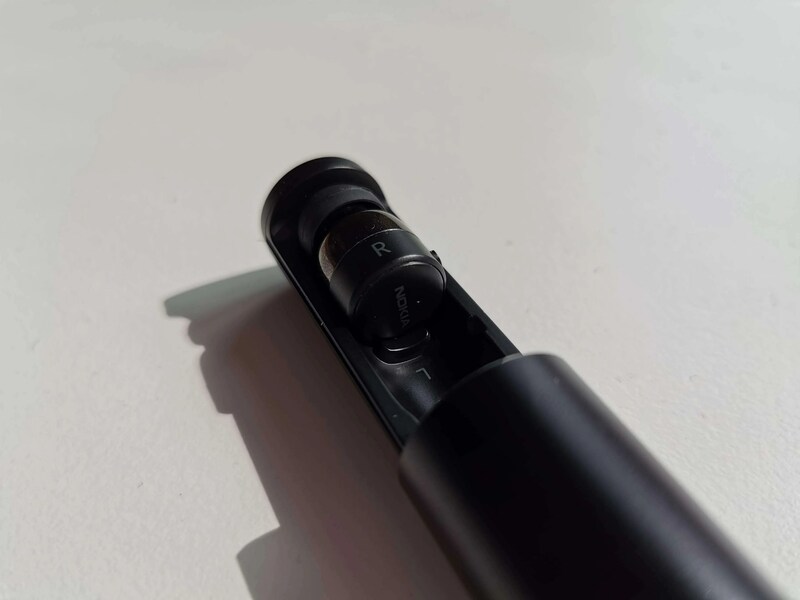 You can learn more about the Nokia True Wireless Earbuds here and Three Ireland are offering the earbuds, who’s RRP is €139, for free with every purchase of the Nokia 7.1 which we’ve already reviewed on the site! Overall, we were pleasantly surprised by how good these True Wireless Earbuds were from Nokia. Back when they were officially unveiled, we were fans of their tiny form factor and ergonomic carry case but we weren't sure if they could deliver on the audio front. Having tested them for a few weeks now, we're really impressed with how good these earbuds sound and the battery life isn't too bad either!